The study of African migration within the francophone context is crucial for understanding the historical, linguistic, cultural and intellectual relationships between Africa and metropolitan France. This project examines what it means to be African, French, or both, in an increasingly globalized world and how, specifically, the cultural, intellectual, and economic contributions of Africans and French people of African origin have shaped Paris. 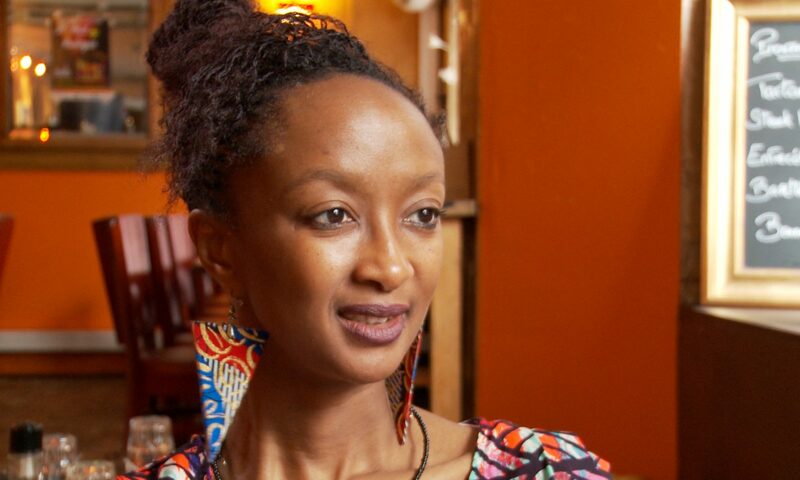 The core of this project is a series of four short, documentary-style films (French, with optional English subtitles) about the diverse experiences of four individuals of African origins living and working in Paris: Bilguissa Diallo of Nappy Queen, Néné Ly Diallo of Made in Goutte d’Or, Abdou Fataou Siebou Issaka, and Lucie Umukundwa of Izuba Gallery. The thematic content of the short films—identity, migration, place, belonging, safety, economics, representation, and creativity (among others)—is applicable to a variety of pedagogical contexts and disciplines. The bilingual (French and English), multimodal resources on this site are aimed at helping educators in secondary and post-secondary contexts integrate these short films into their curricula. L’immigration africaine à Paris découle des conséquences d’une autre histoire plus longue, des siècles durant, plus sinistre, plus douloureuse, plus tragique; l’histoire de la construction du continent africain, puis de sa «déconstruction», l’esclavage, la décolonisation, l’impérialisme et l’immigration passive, forcée ou choisie. Ces films pourront peut-être conjurer les discours identitaires régressifs ou méprisants. African immigration to Paris stems from the consequences of another, longer, centuries-old history, more sinister, more painful, more tragic; the history of the construction of the African continent, then its “deconstruction,” slavery, decolonization, imperialism and passive immigration, forced or chosen. These films may be able to ward off regressive or contemptuous identity discourses. – Néné Ly Diallo, Diallo & Co. This project was funded by the African Studies Initiative at the University of Minnesota. Concept/project design: Jen Westmoreland Bouchard, Lucidité Writing, Inc.
Filmmaker: Joanna Kohler, Kohler Productions, Inc.